I was asked to look at Humphrey Spender because of observations I made when we were discussing the street photographs I took in the bars and cafes of Dubrovnik. Note that much of the information in this post is taken directly from other websites, which I have referenced. The images are copyrighted. Humphrey Spender (1910-2005) was an English photographer. He initially studied architecture in London, but, following his qualification in 1933, he set up a photographic studio. He photographed in Bolton for the Mass Observation movement, an independent body aiming to record the reality of daily life in Britain. Spender’s most famous photographs are of the ‘Worktown Study’. Worktown was the Mass Observationist’s codename for Bolton. Taken between 1937 and 1940, his photographs cover the full range of Mass Observation’s interests – politics and elections; religion; street scenes; industrial landscapes; the public house; market scenes; new buildings and developments; observers in action; sport and leisure time; work in the textile mills; on holiday in Blackpool; street hoardings and advertisements. 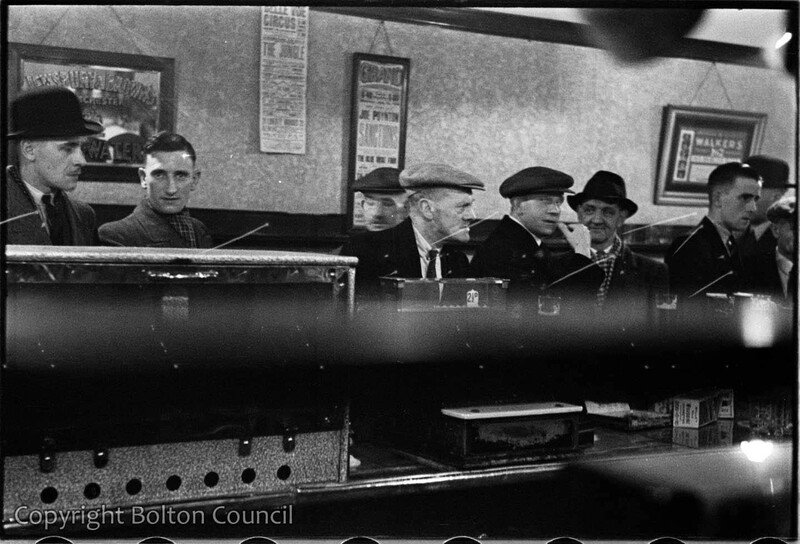 Spender’s photographs of Bolton are a unique document of everyday life in a working class community in the 1930s. They are regarded as internationally significant in the development of documentary photography. Spender was one of the first British photographers to use a rangefinder camera and 35mm film. This meant that he was able to capture candid shots of life in action rather than the posed compositions required by a heavy large format camera. Spender was fascinated with photography at an early age, learning from his older brother. He trained as an architect to please his family but had no real passion or aptitude for the subject. As the global depression of the 1930s impacted on the building industry he was unable to secure a job in architecture and returned to his true passion, setting up a London based portrait studio. He had a strong social conscience despite his privileged background. Through liberal friends he became concerned about social injustice. He realised that his photographs could draw attention to inequalities in society rather than just being pretty pictures. His photographs and connections drew attention and he was soon recruited by the Daily Mirror to become a roving photographer. As ‘Lensman’ Spender travelled round the country capturing artistic feature photographs. He was becoming frustrated by the newspaper’s demands for clichéd and staged photographs when he was contacted by Tom Harrisson who asked him to join Mass Observation’s Worktown study of life in Bolton. Harrisson wanted to recruit photographers as he believed that the camera was a ‘scientific instrument of precision’ which could be used to check the accuracy of written observations. 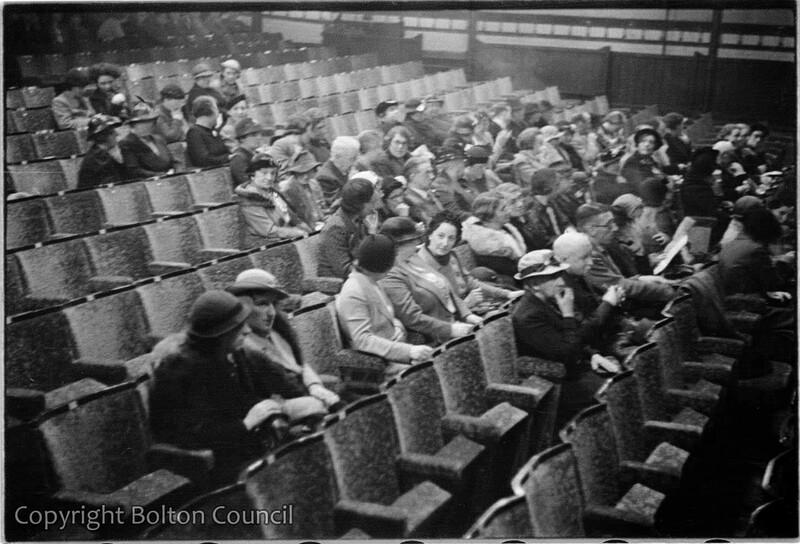 Spender took around 850 photographs in Bolton and Blackpool on a series of visits between August 1937 and April 1938. He also made a number of written observations which are held in the Mass Observation Archive and provide a fascinating accompaniment to his photographs. Photographing life in Bolton was not easy. Humphrey Spender came from the south of England and said he ‘felt very much a foreigner’ in the industrial town. He was distressed by the grimy brick streets and murky weather. His accent marked him as a stranger and he often got lost. His rangefinder camera stood out ‘like a sci-fi contraption’ and was technically complicated to use. Although his photographs are regarded as one of the most important contributions to early documentary photography in Britain Spender’s admission of unease have led some writers to criticise them as voyeuristic class tourism. However there is no doubt that Spender wanted to take truthful and useful photographs which precisely documented the details of everyday life. He realised people altered their behaviour for the camera and so developed ways to photograph unobserved. For example he would hide his camera under a raincoat and take photographs at waist height without looking through the viewfinder or shoot with his camera casually placed on a pub table. As well as some of the events photographed being accompanied by Spender’s observations, images have been linked to other archive materials on the Bolton Worktown website. For example, observations made by other ‘mass observers’, documents relating to the 1937 council elections, and reports in the local paper of a funeral and rounders match. I like that Spender took his photos surreptitiously, as I prefer to do, by sitting at a table in a bar or from waist height. The images are candid, rather than posed, or staged, and portray life as it was. I love the observations that are linked to some of his photographs because they add context. This is something I could do on my blog. I particularly like the observations linked to photos of Saddle Hotel and The Quack Medicine Stall. In his exchange with the pub landlord, Spender was much braver than me! I probably like the observation on the medicine stall because I’m a pharmacist. It makes me wonder whether Spender though quack medicine was a con too! It is thought that photograph was taken in the Saddle Hotel because of a written observation by Humphrey Spender. The description and date of the observation match this, and the next photograph in the film. The landlord of the pub spotted Spender taking photographs and it resulted in an angry confrontation in which he demanded that Spender destroyed his films. I was standing at a counter which gave a view onto a long row of drinkers standing at an opposite counter The pub was very crowded and those serving drinks were sufficiently busy to keep them from paying much attention to what their customers were doing My viewfinder was suddenly blocked by a large blue waistcoat and an aggressive voice said, ‘What do you think you’re doing. My customers don’t want any photographs taken in here, nor do I. Its usual to ask the manager’s permission.’ ’I’m very sorry, may I have your permission?’ ’No, certainly not’, and he was interrupted by having to serve some more drinks. I put a protective hand over my camera, and said, ‘It’s a pity I’ll have to go without buying another drink.’ ’I wouldn’t serve you. ‘You needn’t talk in that semi-educated way you won’t go until I’ve fetched a policeman,’ and he walked with me to the door, which he blocked, saying, ’destroy those films’. The manager then went out and started beckoning for a policeman, who arrived in about 3 minutes. A sympathetic longfaced man who was completely dazed by the complaint and obviously didn’t know the answer to my question- does the English law forbid me to take photographs inside a public house. The manager blustered and talked about forcing me to destroy the films, called me again semi-educated, to which I said my education on English law seemed sounder than his. Included in a mass of personal insults I remember saying I certainly hadn’t wanted a photograph of him and he said he wouldn’t allow me in the place again. The manager kept on emphasising the point that his customers didn’t want it known that they were in there. So I asked him if the place was so shady that they should be so nervous about exposing their presence. The policeman asked me why I was photographing, implying that the manager had a right to forbid publication. I said I had no intention of publishing anything and anyhow only had a picture of the manager’s stomach which I didn’t very much care about; that I was photographing entirely for my own pleasure, life in an industrial town. The manager then realised he was losing valuable time and went back to scenes of righteous indignation inside his pub. 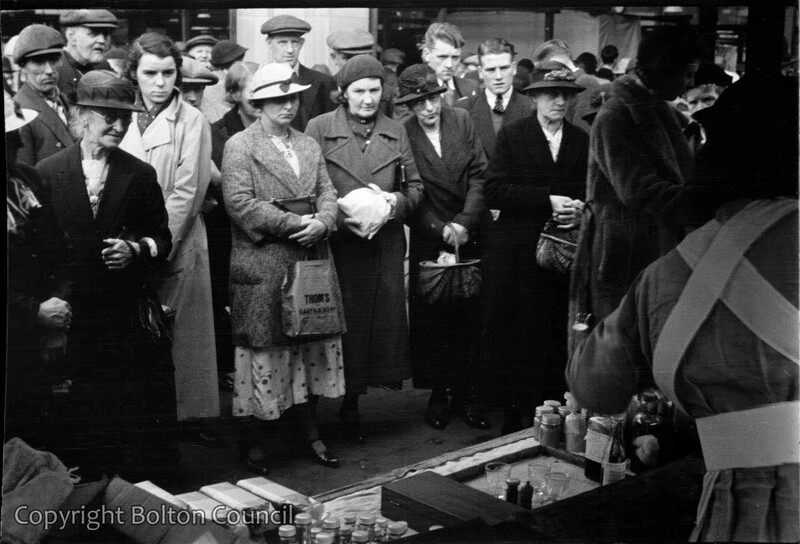 A quack medicine stall in Bolton’s open market, Thursday 23rd September 1937. Before the NHS was established working people in Britain would rely on such stalls and shops as visiting a doctor was expensive. Humphrey Spender was obviously particularly interested in the stall as he took a sequence of eight photographs of it and also wrote an observation. Market Thursday September 23rd H.S. Quack Medicine Stall: Stoutish woman dressed as nurse. ½ hour for giving samples of yellow-brown liquid out of bottle, sells tablets to make up the medicine. Many buyers. ANAEMIA rheumatism palpitations and many more ailments were mentioned. The woman addressed always acquiesces buys medicine. A woman comes up afterwards and says her? (relation) is very much better. Well that’s the main thing says nurse mixing coloured liquids! Audience for a performance of Madame Butterfly by the Universal Grand Opera Company at the Grand Theatre, Bolton. The building has now been demolished. Humphrey Spender went to the matinee performance at 2.30pm on Wednesday 22nd September. His ticket and a written report are in the Mass Observation Archive with an account by fellow observer Brian Barefoot which was written as if it was of a political meeting. A few carried conversations on into introductory music to acts. Two women in front talking about a very bad accident – (young man lost an arm an injured the other terribly but is pulling himself together well). Poor playing by orchestra. Singing quite good but no idea of acting. Scenery suitably Japanese, exaggerated. Slit-eyed make up and European idea of tiny steps taken by Japanese women. Coiffure as in Japanese prints. Emphasis on WHITE characters (see plot) obtained by men in white ducks (semi-naval & uniform) and Lews European wife in white cotton dress (pre-war slinky), parasol, white cotton stockings, broad brimmed red hat, white high heeled shoes, hideous horse-like face. Big limbs uncontrolled.